The inBalance Chiropractic and Wellness Posture Restoration Program contains a cohort of traveling chiropractic physicians whose mission is to serve substance abuse facilities with natural therapies that support and enhance the health and well-being of their recovering clients. When seeking to recover from the ravages of substance abuse, it is not enough to simply quit using those substances. 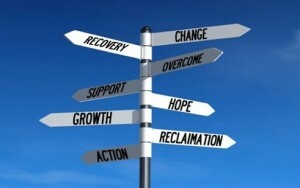 Long-term recovery occurs when the body, mind, and spirit are fully restored and in balance with one another. Recovery programs that offer a combination of standard treatment practices and whole-body therapies to improve the comprehensive health of their clients are winning the battle against substance abuse disorders. These centers aim to treat the entire person by helping them improve their self-image, learn life skills, gain control over addictive patterns, and improve their physical body and emotional state. Although many drug and alcohol treatment centers understand the importance of implementing healing therapies, they often don’t know where to start. inBalance Chiropractic and Wellness can help your center begin the process by implementing our Posture Restoration Program into your regularly scheduled agenda, included as a service your center offers. We even offer life-skills education courses that are fun, interactive, and packed with valuable lifetime posture maintenance. Our Posture Restoration Program specializes in restoring the physical state of the body so your client can look, feel, and function better. As your recovery clients benefit from this amazing program, your treatment center will also benefit because we manage the whole Posture Restoration Program. Posture Therapy has been proven to enhance communication between the brain and the body which means physiologically, the client begins to function better faster. Improved function leads to mental clarity, improved attitude and greater self awareness The direct benefit to your center is: a more focused client who is ready to make changes. First, we perform a bio-mechanical and neurological exam, then take a posture screen picture, because that’s our goal: to improve client posture. With chiropractic adjustments we move the spinal bones to correct the posture “ills”, followed by a chair massage to help the muscles adapt. We individually and group instruct our patients on how to implement passive exercises to retrain the spinal bones and their skeletal structure. 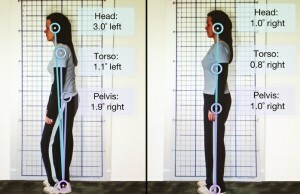 Just prior to discharge, we take a follow-up posture screen to see the progress and results. Throughout this process, clients experience how their improved structure is making them feel really good, all while they learn to create new posture habits necessary for a lifetime of standing tall and proud. The uniqueness of this program is so overwhelmingly positive, proactive, and results driven – it’s easy to understand why clients show improvement on multiple levels: physically, mentally/ emotionally, and metabolically. It all began when Dr. Faith Miller brought her Posture Restoration Program into a substance abuse treatment center and fell in love with the noticeable changes she observed in all the recovery clients who were under her care. 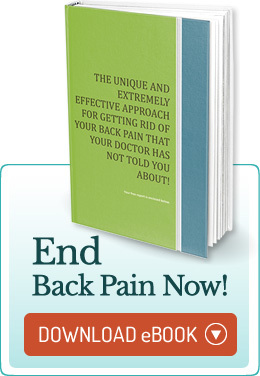 In her excitement, she reached out to Dr. George Debs of inBalance Chiropractic and Wellness. Both doctors realized the opportunity to join together and offer this unique chiropractic program to more treatment centers. Because we care and we know that our state-of-the-art rehabilitative approach helps to restore the brain to body communication and it’s making a huge difference in our recovery patient’s transformation. Our clinicians are passionate practitioners and they love teaching patients to care for themselves, supporting them, and watching their progression toward improved function and vitality. We all feel that this is the greatest gift any of us could receive. inBalance has been caring for the communities of Shrewsbury, Watertown, and Marlborough for the past thirty years and we look forward to serving your treatment facility. To learn more contact drfaithmiller@gmail.com.